When this book came out, I reviewed it for Maximum RockNRoll. I wish I could find that review now, but alas, it seems to have been lost in the pre-digital fog. However, with Evola and other post-war fascists back in the air, I thought it would be worth the time to revisit this seminal work. 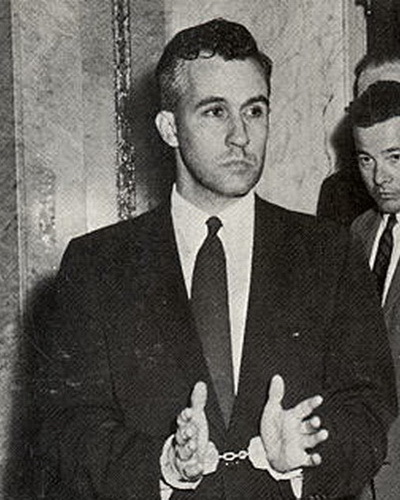 This book is, ostensibly, a biography of the post war American fascist Francis Parker Yockey. Yockey was a fascinating, dangerous, character. An attorney, a racist, an author, an anti-Semite, and possibly a traitor, he lived a life of almost constant agitation for a fascist future, using multiple aliases, and eventually committing suicide in custody by taking a cyanide pill almost surely smuggled in to him by a sympathizer. He also wrote one of the so-called “classics” of intellectual side of post-war fascism, Imperium a book which I have not read but can feel confident in telling you is almost surely incoherent garbage. Yockey’s story alone is completely fascinating, but Coogan goes further, giving us a capsule history of the entire bonkers history of post-WWII fascism, with a special emphasis on the more mystical, wanna-be intellectual side of the endeavor promulgated by the likes of Julius Evola. I’m pretty sure this started out as a phd thesis, but it reads like it is written with the chops of someone with a journalism background. * For a book on such a wide ranging and often esoteric subject matter, it moves, and even at over five hundred pages, I wanted more. If current times got you worried and wondering where all this alt-right garbage came from, you could do worse than picking this one up.